Are you thinking of working for the EU? Get a deeper understanding of the different EU tests and assessments you can expect at the EPSO assessment centre with JobTestPrep. Come through the EPSO assessment centre successfully and you will be offered a place on the reserve list. If you are successful in the first EPSO computer based tests competition you will be invited to attend an EPSO assessment centre that is normally held in Brussels. Below is a rundown of the different activities you can face there. It is worthwhile bearing in mind that this table is just a guide and as there are many different positions in the EU you may find that the process is slightly different. The EPSO tests are provided by Prometric and they have unique characteristics. Whereas many psychometric testing companies ask fairly generic questions that follow typical thinking patterns, the EPSO tests are a break from this. For example, whilst many companies using verbal reasoning tests use a true/ false/ cannot say style, the EPSO tests do not use this method and focus instead on a deeper understanding of the text. To this end, even though there is a time limit to the tests, getting the answers correct is of utmost importance. There are some tests, particularly in the AST competitions that test your ability to work under pressure such as the accuracy and precision test, but the three main EPSO tests: verbal, numerical, and abstract reasoning do not have such time limit. Although there is some overlap between the two sets of tests in the main, there is a significant difference between the two levels. There are many reasons for this but the main one is that there are different skills involved if you are an assistant than if you are an administrator. For this reason there are two different groups of EU tests. The AST level tests focus of your fact finding abilities, the ability to comprehend often complex information and find what is relevant to the task. In the AD level however, there is a focus on your ability to not only find this information, but take it to the next level as well and reach correct, thought out conclusions based on the information you have uncovered. These separate skills mirror the actual abilities that you will need to have in order to do well if you get offered a job in the EU. The structure of this EPSO interview is as follows: We are now asking you about this _____ competency. Tell us about a time when ____? For example: Regarding the competency of prioritising and organising: Describe an occasion when you have needed to change plans or reprioritise? What happened? As there is a fixed set of EPSO competencies that you will be tested on in the interview you can prepare for it. Ensure you have read your notice of competition to know exactly which ones you are being assessed on. For each competency you are only asked one question and it is directly related to the competency. Have specific examples for each of the competencies that you are being assessed on in order to answer the EPSO structured interview questions in the best possible way. Prepare your answers in advance and use the STAR method. EPSO want to hear how you have demonstrated each competency clearly before. Using the STAR method is the best way to ensure you can do this. A draft action plan for stimulating renewable energy sources. In the EPSO case study that you are given to prepare there can be as many as 20 different pages of information. This ranges from report, mail messages, screenshots of websites, forum discussions, and newspaper cuttings among others. You have 30 minutes to go through this information, making notes either directly on the case study or separately. Following this you will give a 10 minute presentation to two assessors who are playing the roles of Heads of Unit. After you have finished your presentation there is a question and answer session where you have to field questions from the assessors. Analysis & Problem Solving - This means that you clearly find the problems in the case study without getting distracted by the myriad details. 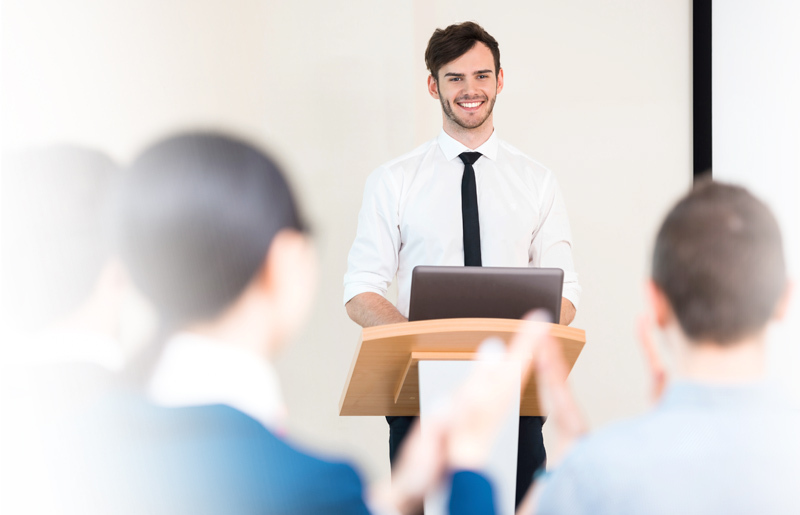 Communicating (Oral communication) - You have to craft your presentation in a manner that is easy to listen to, gets to the point and most importantly makes sense. Delivering Quality & Results - After your analysis of the subject you have to show that you have thought of a good solution to the problems that you found. Resilience - You show this most in the Q&A session after the presentation. You don’t have to agree with the assessors, you should argue your points if you feel they are correct. They want you to really bring quality to the table and you do this by showing resilience and demonstrating that you really believe in your points. However, if you feel that they have made a good point that is better than yours you should embrace it as this shows flexibility. What is the problem with this position at present? What are the different options available and what are their pros and cons? Which option is the most desirable? The brief is approximately 15-20 pages long and contains information in the form of mail messages, reports, meeting minutes and details of the other participant’s briefs. You have 15 minutes to go through the information in the brief and the actual interaction goes on for 50 minutes. This interaction is done in the presence of the assessors. Have a look at our pages on group exercises to learn more about preparing for the EPSO group exercise and group exercises in general. At JobTestPrep, we offer a range of services providing preparation for your application. These range include practice tests for both the AD and AST level competition, and assessment centre preparation. Prepare with JobTestPrep and get complete preparation, skills, and confidence for the application process.